This ED Lab Indoor Air Home Mold Test Kit is used to screen the air in your home for different mold types as well as fungal propagules. Filters Fast has teamed up with Environmental Diagnostics Lab (ED Lab) to provide this advanced home mold testing kit that will work to identify possible problems with the indoor air quality in your home or place of business. The cost of the lab test is included in the product. Allergies, itchy eyes, scratchy throats, lung problems, and other symptoms can all be signs that your indoor air quality is sub-standard and could possibly be contaminated with mold or fungus. By utilizing this mold screening kit you can pin-point any possible problems you are having with your indoor air quality in order to find a solution that fits your needs without wasting money on overly expensive testing products and/or various experts that may or may not solve the mold or fungus problems with your indoor air supply. 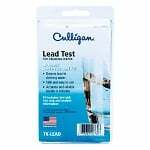 The ED Lab Household Mold Test Kit is the same air quality test kit used by professionals to detect mold and/or fungal problems in both homes and businesses. Additionally, if you work in real estate, home insurance claims adjusting, the HVAC business, or other similar fields this mold test is a necessity for your work. 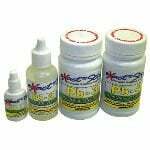 Complete instructions for use plus a chain of custody form is included with this fungal and mold testing kit. 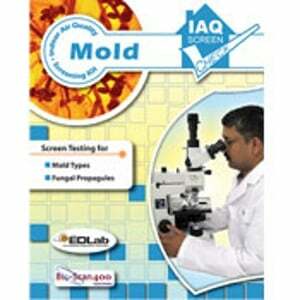 The ED Lab home mold test kit features AIHA Accredited lab analysis with online test results viewable by the customer. This indoor air quality mold screening kit is also known by part number 21019 by Bio-Scan400 and as a mold screen check. 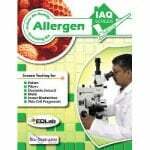 Note: This kit will not test for mold spores while they are still airborne. That type of test is more elaborate and requires expensive, more specialized equipment or the assessment from a mold expert. This kit provides the means to take samples from surfaces to detect the presence of mold.